Popular as 50-inch widescreen HDTV with 5.1 surround becomes, we gradually neglect the widescreen video capability of iPod touch. 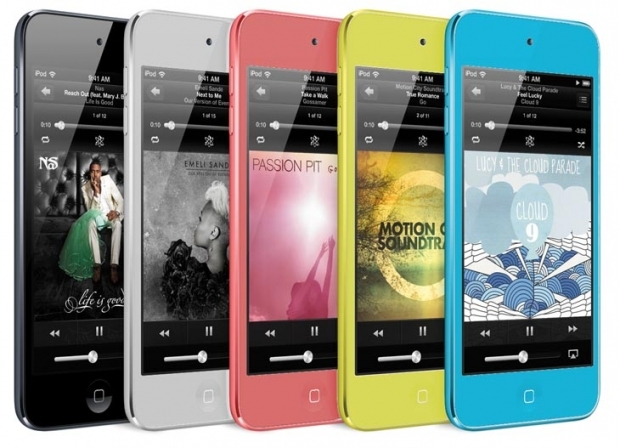 Although the screen of iPod touch is relatively small, it is still bright and big enough to enjoy movies anywhere even outside, without being stuck by the limitation of mobility. Once well ultilized, iPod can be regarded as a shrunken HDTV you can take on the road with you, making your journey more intresting than before. If you have an iPod, one of the things you probably want to do is to put DVD movies on it. After all, despite the small screen, movies really look great on the iPod, and it’s a lot easier to carry around than a laptop or portable DVD player. However, as we all know, iPod cannot play DVD directly. How can you copy DVD to iPod? Well, it’s not difficult at all with the help of a powerful DVD to iPod converter. The process of converting DVD to iPod can be divided into two parts. First we have to convert DVD to video, and then we should transfer the video to iPod. I’m glad to share my idea on how to convert DVD to iPod and how to transfer the video to iPod. As DVD is not supported by iPod, you need to convert DVD to iPod compatible file formats if you want to play DVD movie on iPod. Therefore it is necessary for you to figure out what file formats are compatible with iPod before you take action to convert DVD to iPod. The following table shows you the detailed file formats that iPod supports. Like what is showed on the table above, iPod supports MOV, MP4 and M4V of H.264 or MPEG-4 Video Codec. In order to copy DVD to iPod, you need to convert DVD to one of these three video formats. Additionally, iPod also restricts the audio foramts and parameters like Bit Rate. To convert DVD to iPod, a DVD to iPod converter is necessary. However, there are so many DVD to iPod converters which make it difficult to choose. Here I’d like to recommend Leawo DVD Ripper – the best DVD to iPod converter to you. Leawo DVD Ripper is not a free DVD to iPod converter, but it has a free trial version that allows users to free try it before actually purchasing the registered version. 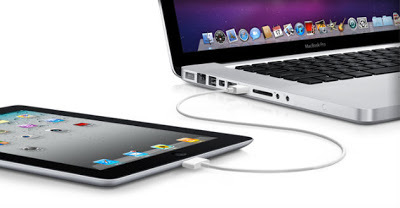 As a professional DVD to iPod converter, Leawo DVD Ripper is always the first choice for most people. Why choose Leawo DVD Ripper to rip DVD to iPod? Leawo DVD Ripper is an excellent DVD ripping program capable of decypting protected DVDs and removing DVD region code limitation. It is preset with iPod as output device, which will save users a great amount of time choosing the output video formats and asjusting detailed video and audio paramters. During the converting process from DVD to iPod videos or even other video and audio formats, Leawo DVD Ripper well preserve the original DVD quality to 100%. Moreover, Leawo DVD to iPod converter supports every generation of iPod, including iPod Touch, iPod Touch 4, iPod Touch 5, iPoad Classic and iPod nano, making it easy to convert DVD to iPod Touch, etc. 1. Leawo DVD Ripper is able to rip and convert any DVD disc with advanced disc decrypting technology. 2. 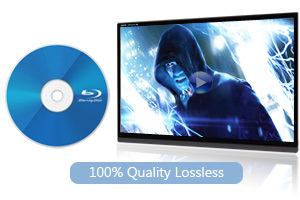 Leawo DVD Ripper can guarantee a 100% quality lossless conversion from DVD to iPod. 3. Leawo DVD Ripper could rip DVD to iPod in a 6X faster speed with the help of NVIDIA CUDA, AMD APP and Intel Quick Sync graphics acceleration technologies. 4. All iPod generations are available with preset specific profiles for easy and direct DVD to iPod conversion. After taking all the features above into consideration, I am sure you will agree that Leawo DVD Ripper is the best DVD to iPod converter. 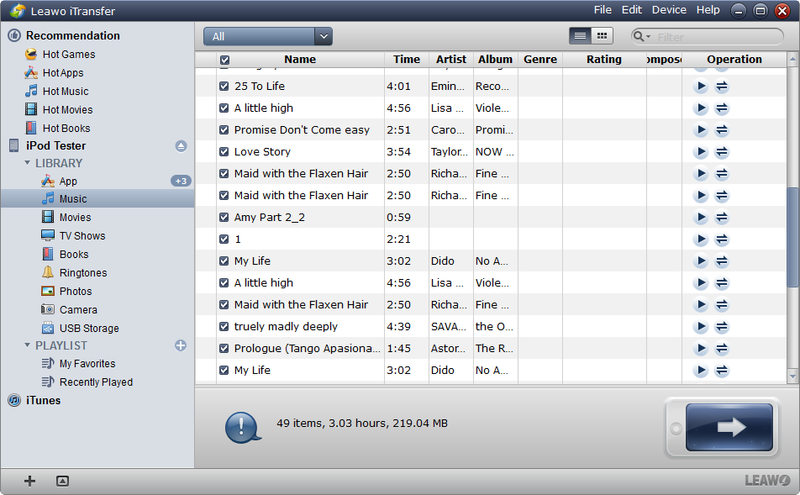 Leawo DVD Ripper is like many DVD to iPod converters on the market, offering two versions Windows and Mac version. Users can free download and install the right version according to their computer’s Operating System, and then to convert DVD to iPod compatible video format. How to convert DVD to iPod with Leawo DVD Ripper? With the help of Leawo DVD Ripper, converting DVD to iPod is very easy. The following simple steps will show you how to convert DVD to iPod with Leawo DVD Ripper. 1. Insert the target DVD disk into your computer’s DVD drive, launch Leawo to enter the main interface, and click “Add Blu-ray/DVD” button to load source DVD. Or you can directly drag source DVD file and drop it on the main interface of the program. 2. After the loading of source DVD file, click the drop-down box (named “MP4 Video” by default), and choose “Change” to enter Profile setting panel, where you shall choose “Device >> Apple” to select the type of iPod as out device, including iPod Touch, iPod Touch 4, iPod Touch 5, iPod Classic, and iPod nano. 3. iPod output device being set, you will be guided into the main interface of the DVD to iPod converter on which you shall click the big green “Convert” button on the top-right to start to convert DVD to iPod. Before the conversion process actually begins, you must specify the directory folder to save the output iPod video. After you finish the conversion process from DVD to iPod, you should continue the second part of the playing DVD on iPod: transferring converted video to iPod. Step 1: Open iTunes, and connect your iPod to computer. Step 2: On the main interface of iTunes, go to menu File > Add File to Library to import the converted video into iTunes. Or just drag and drop the video into iTunes. Step 3: Open “Movies” tab, check “Sync Movies” option, and choose the target video. Fillnally click the bottom right “Apply” button to transfer video to iPod. Step 1: Run Leawo iTransfer after installing, and connect your iPod. 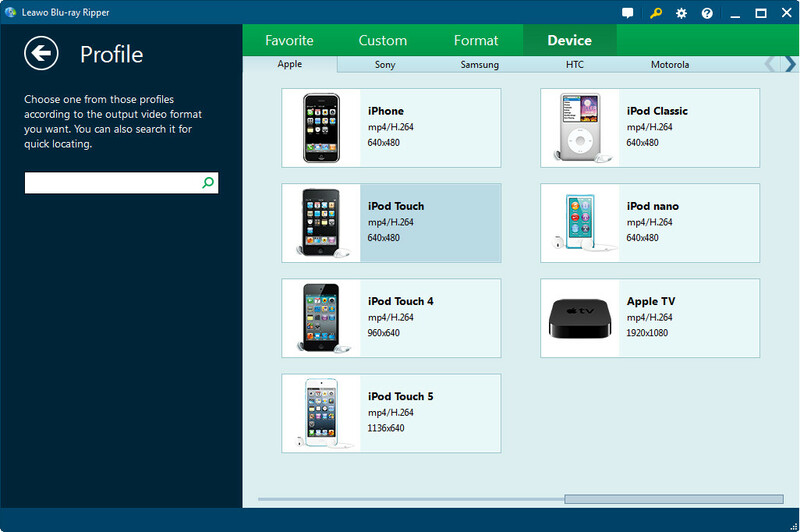 The software will scan your iPod automatically and show your iPod Library in the software window. 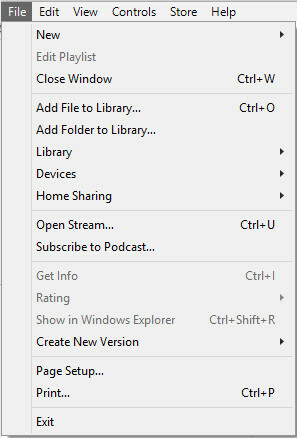 Step 2: Click “File > Add > Add File/Add Folder” to add the converted video from your computer. Click OK to start the iPod syncing work. 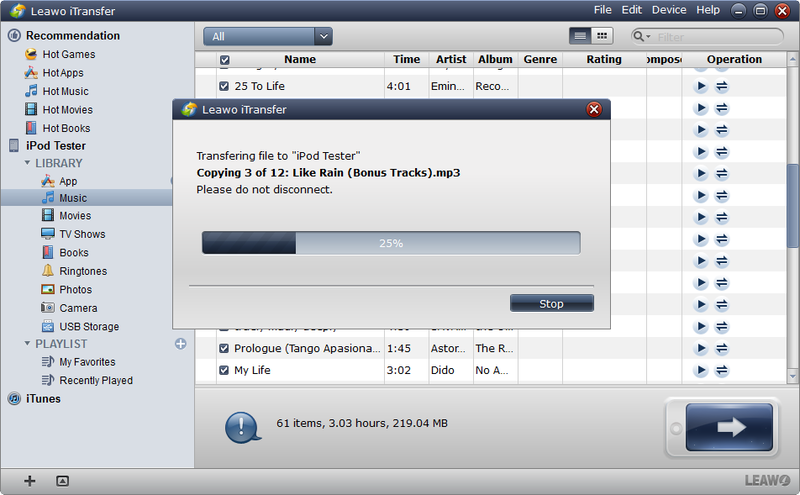 Step 3: A progress bar will notice you the syncing process. 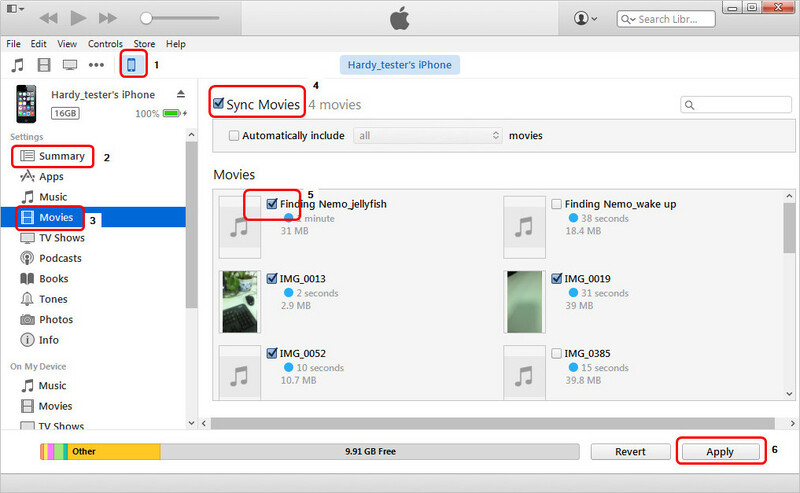 When the iPod video syncing is finished, you are able to have all the video files in the iPod Library. After the two major processes (converting DVD to iPod and transferring converted video to iPod) are completed, you can play DVD movie on your iPod anytime and anywhere you want.